Two high efficiency 24W T5 fluorescent bulbs housed in the canopy provide bright, full spectrum lighting (6400 Kelvin each) while using less electricity combined than a standard household light bulb. The electronic ballasts eliminate annoying buzzing and ensure no flicker start up. Each bulb lasts up to 10,000 hours and the unit is supplied with a 12 month user guarantee. The canopy height is fully adjustable on the aluminium uprights, giving a maximum clearance height of 38cm from the bottom of the base tray. 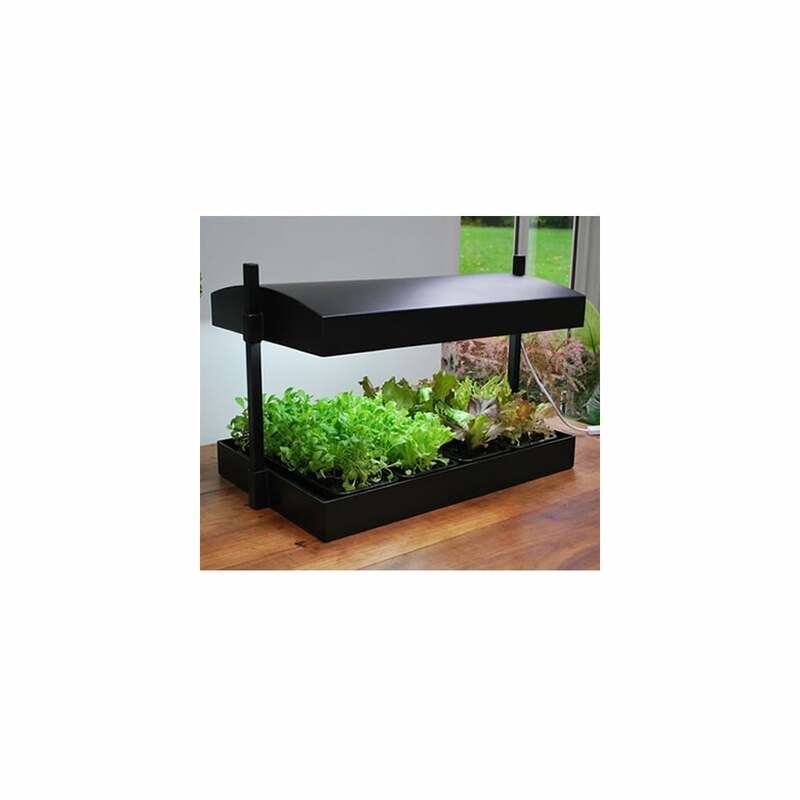 The unit is supplied complete with 4 quality growing trays which feature 2 tier drainage cells. These trays can be used time and again. This compact unit, in attractive black finish is ideal for year round use on a kitchen worktop or side table. Simple home assembly takes less than 30 minutes.